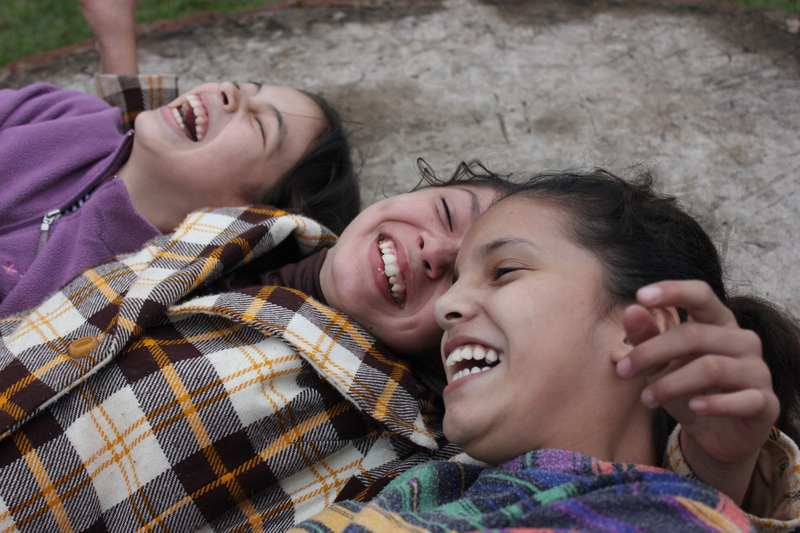 Children grow up together, often forming bonds that will last a lifetime (photo: SOS archives). Hohenau is located in a subtropical region in the Itapúa department and was founded in 1900 by German immigrants. It has a population of around 11,000 and its economy is based mainly on agriculture such as the growing of soya, wheat and cotton, cattle raising, and some small-scale industry. As in most of Paraguay, poverty is highest in rural areas of Itapúa, with almost 40 per cent of the population unable to meet basic needs such as an adequate diet or healthcare. Over a third of the rural population in Itapúa lack access to education and decent housing, and only 5.6 per cent have sewage systems. Part of the reason that poverty has been on the increase in rural areas is the concentration of land ownership in few hands, leaving subsistence farmers insufficient land to provide for their families. Itapúa is also the department with the highest rates of illiteracy, with 22.000 people unable to read and write, having received no formal education whatsoever. Many people here speak only the indigenous language Guaraní in the home. If their children do not attend school, they could end up being very much marginalised and excluded from economic and political processes in the country once they grow up. Healthcare in the region is also a great concern, as 94 per cent of the rural population here has no medical insurance, and only around 30 per cent receive treatment when they are ill. Around 37 per cent of mothers give birth without any medical assistance, and 40 per cent of children have no documents to prove their identity. 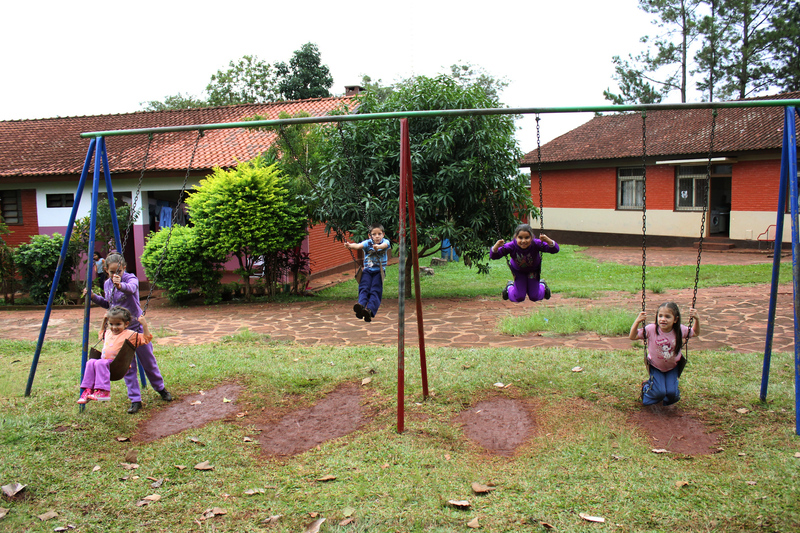 Thanks to SOS Children's Villages, these children can enjoy playing on the swings (photo: SOS archives). SOS Children’s Village Hohenau was our first programme in Paraguay and began its work in 1973. In 2009 an agreement with the Paraguayan Health Ministry was reached to ensure the sustainability of programmes for maternal health initiated by SOS Children’s Villages in Hohenau. For children from the region who are no longer able to live with their parents, 14 SOS families can provide a loving home for up to 154 children. In each family, the children live with their brothers and sisters, affectionately cared for by their SOS mother. When young people from the village feel ready to move out of the family home in order to pursue further education or vocational training, the SOS Youth Programme makes shared accommodation available to them in the nearest city Encarnación, about 36 km from the village. The young people live together here and, with the support of qualified counsellors, they learn to take responsibility, plan their future and prepare for independent adult life.